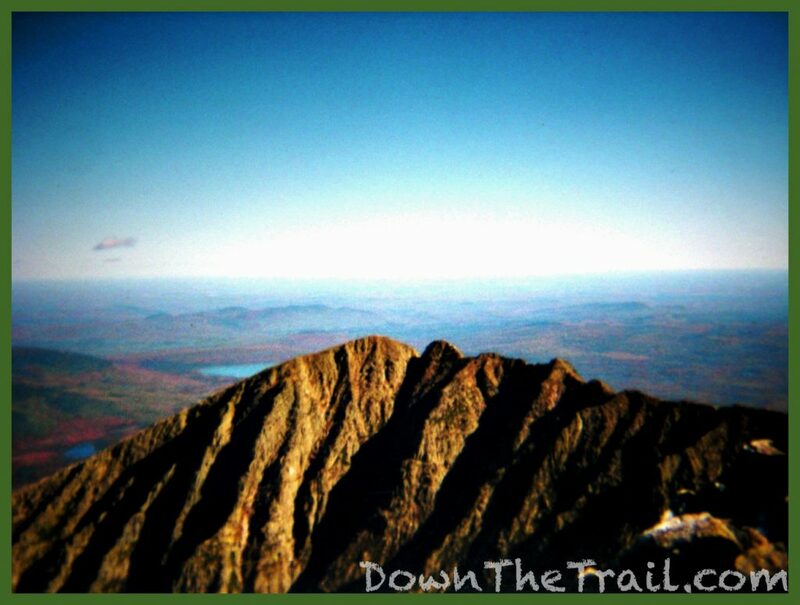 Katahdin is a holy mountain. It is a dream, an idea. 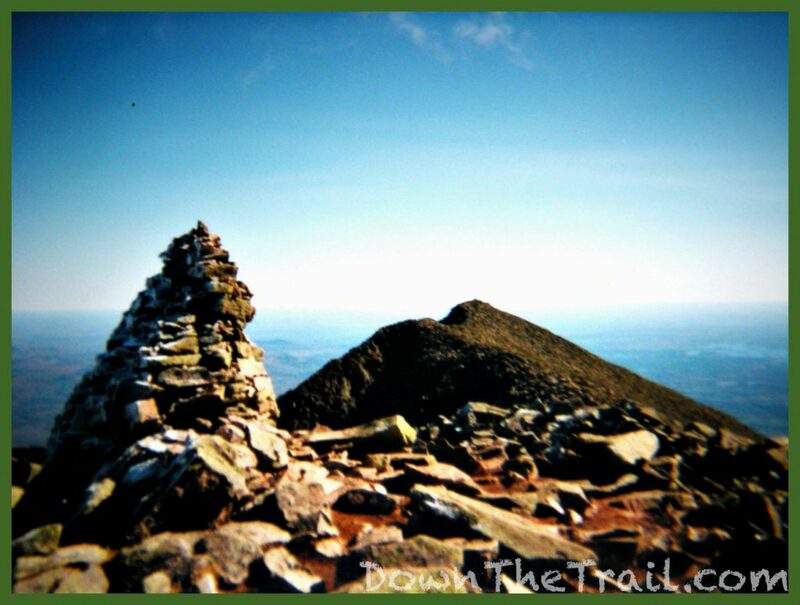 A wish to hike the Appalachian Trail is a desire to stand on Katahdin’s summit. It is the Lonely Mountain of The Hobbit, the Mount Doom of The Lord of the Rings. It can be the heroic scene of your own life story – the mystical, stony place enshrouded in clouds where you go for enlightenment, for atonement, for redemption… to be free of the burden you accepted on that first step from Springer Mountain in Georgia, to be free of the troubled, restless person who made that first step. Maybe for the first time in your life you can finish what you started. You can be a person who sets a goal and sees it through. You can accomplish the hardest thing that you’ve ever had the courage to try. 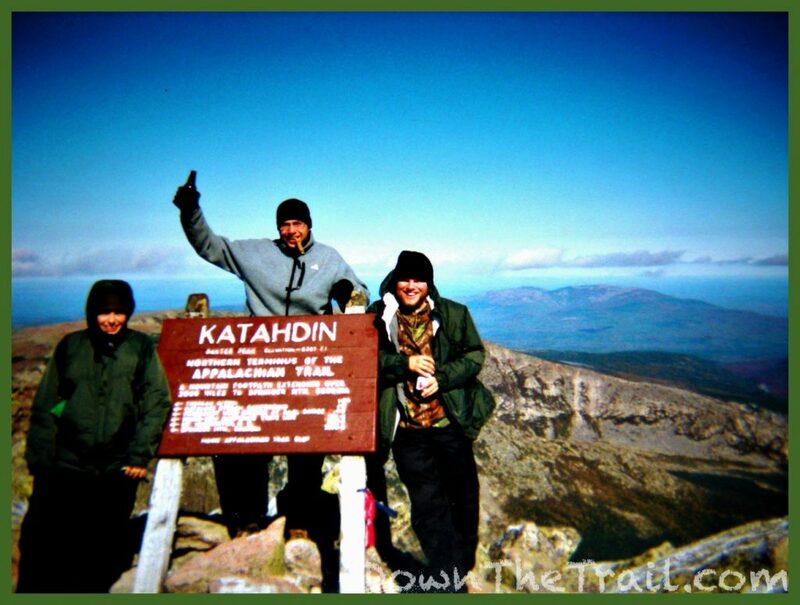 Katahdin is the field of dreams, it’s the place where dreams come true. And true to all wilderness, Katahdin doesn’t give a damn about you or me. The tops of mountains are among the unfinished parts of the globe, whither it is a slight insult to the gods to climb and pry into their secrets, and try their effect on humanity. Only daring and insolent men, perchance, go there. Simple races, as savages, do not climb mountains – their tops are sacred and mysterious tracts never visited by them. Pomola is always angry with those who climb to the summit of Ktaadn. Okay, so maybe he said the mountain does care, expressing insult and anger. The stark contrast between Maine’s alpine wilderness and the green pastures of Walden Pond frightened Thoreau – it was not necessarily an insulted, angry god that frightened him, but instead just the simple indifference of wild nature. 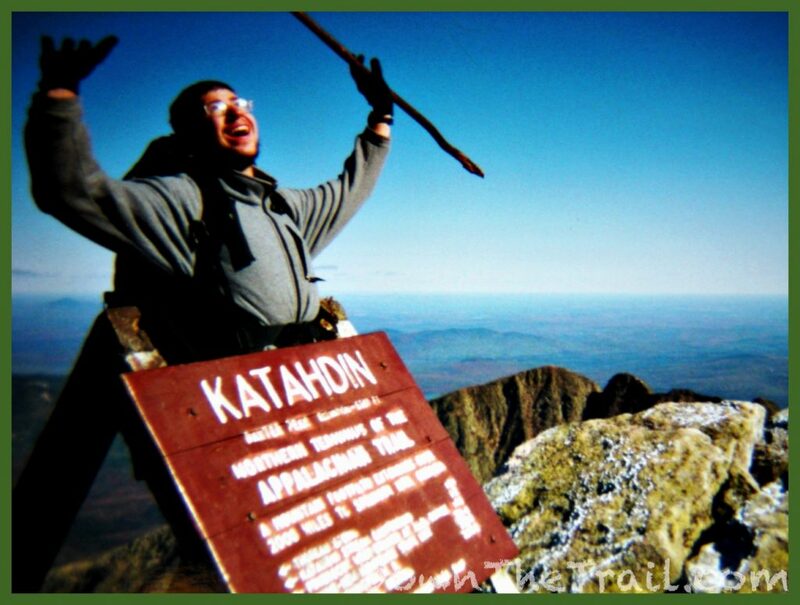 Katahdin (Phonetically spelled “Ktaadn” by Thoreau) is a Native American word, said to mean “greatest mountain.” It’s the highest point in the state of Maine, at 5,267 feet above sea level. 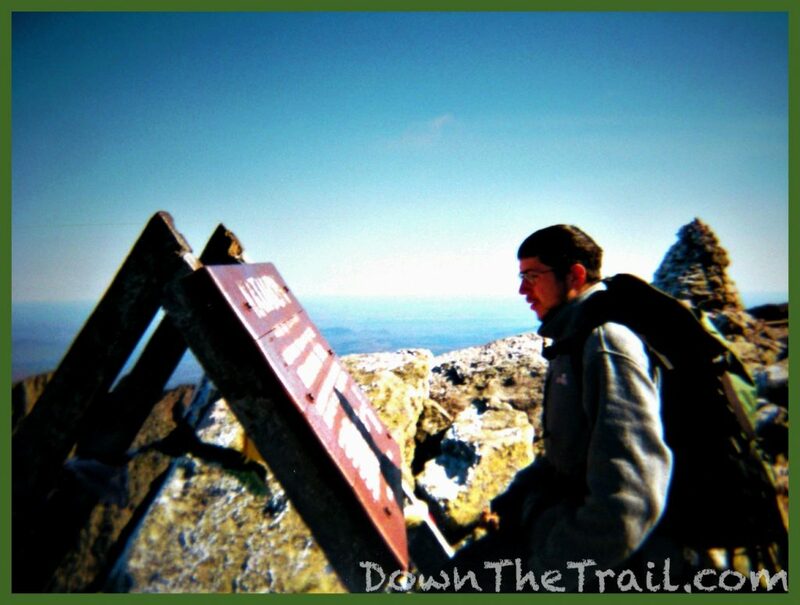 The hike to the top is the single largest climb on the entire Appalachian Trail, with over 4,000 feet of elevation gain to reach its summit. Pomola is the name of a god who was said to live among its peaks. 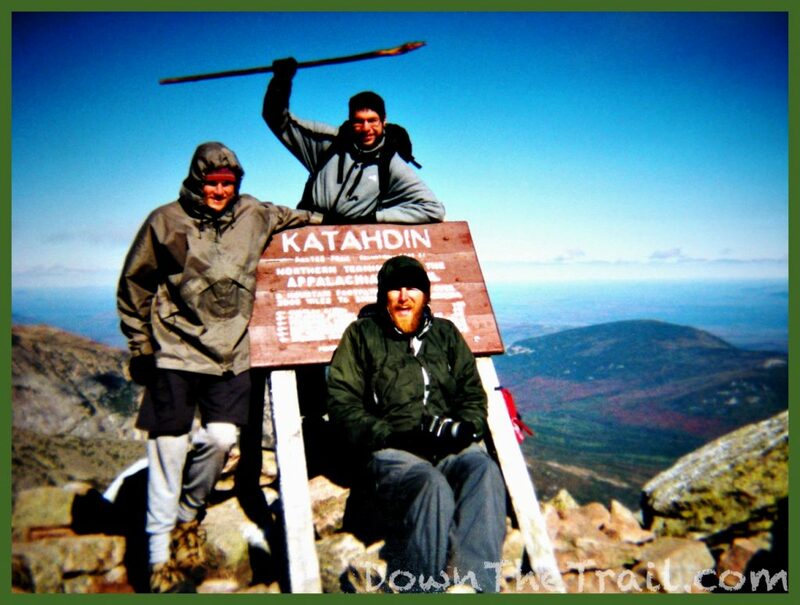 I climbed Katahdin and finished the Appalachian Trail when I was 22 years old, on October 8, 2002. It was easily one of the best days of my life, and I’ll never forget the date. 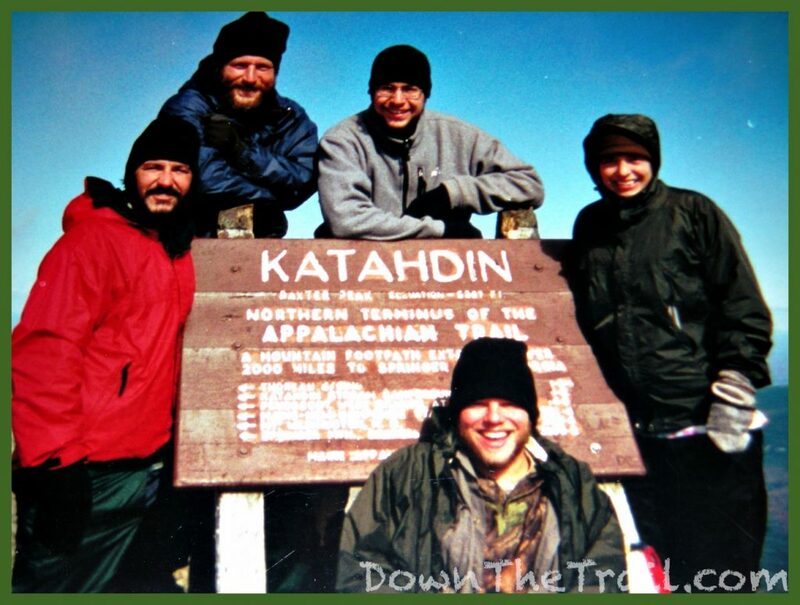 The hike only takes a single day, but Katahdin is most rewardingly climbed by approaching it the long way, by walking over 2,000 miles from Georgia. I’ve never written about that day. How can one express perfection? Like pictures don’t do justice to the Grand Canyon, I feared that trying to write about Katahdin would fall too short of the reality (And it does). Writing about it could only dishonor the experience, yet here I am doing it anyway. 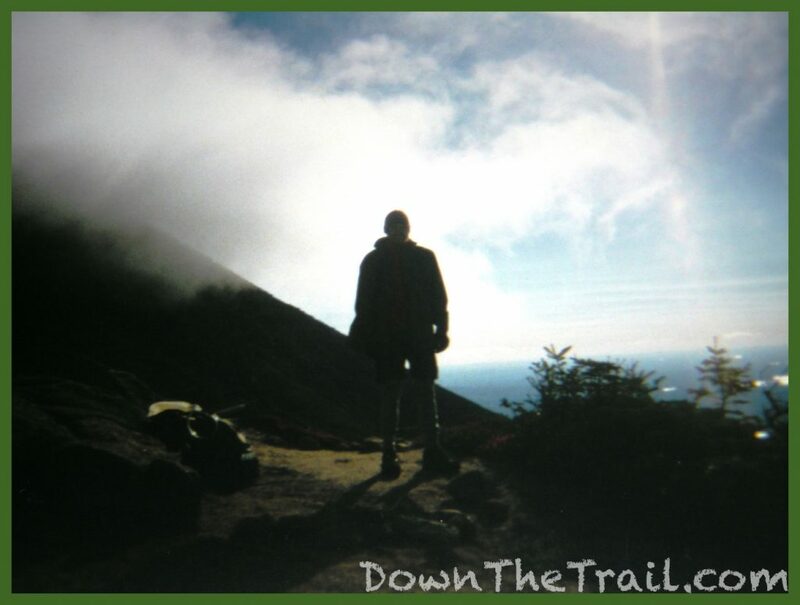 It’s the climax of a story that begins in the recesses of memory, upon the discovery that such a thing as the Appalachian Trail even exists. There’s the temptation to sum up the entirety of the Trail experience in a single journey entry, the temptation to have one’s entire hike flash before their eyes upon touching the fabled signpost – a valiant idea, but often in vain. It’s imperfect. We were up and moving before sunrise, maybe as early as 4am. I think I got some sleep, but it’s not uncommon for thru-hikers to lie awake all night in anticipation of the day. The park rangers kept a collection of old day packs for Appalachian Trail hikers to use on their “summit day.” We could leave our heavy gear at the foot of the mountain in lieu of a lighter day pack. Hollywood and some others took advantage of the day packs. As for myself I emptied the heavier gear from my Gregory and chose to haul my original backpack up the mountain. It had come with me all the way from Georgia and I wasn’t about to leave it behind at the very end. The weather forecast was perfect. I think it was what the rangers called a “Class 4” day (4 out of 5) – clear blue skies with virtually no chance of precipitation. It was a great blessing, especially for the month of October. 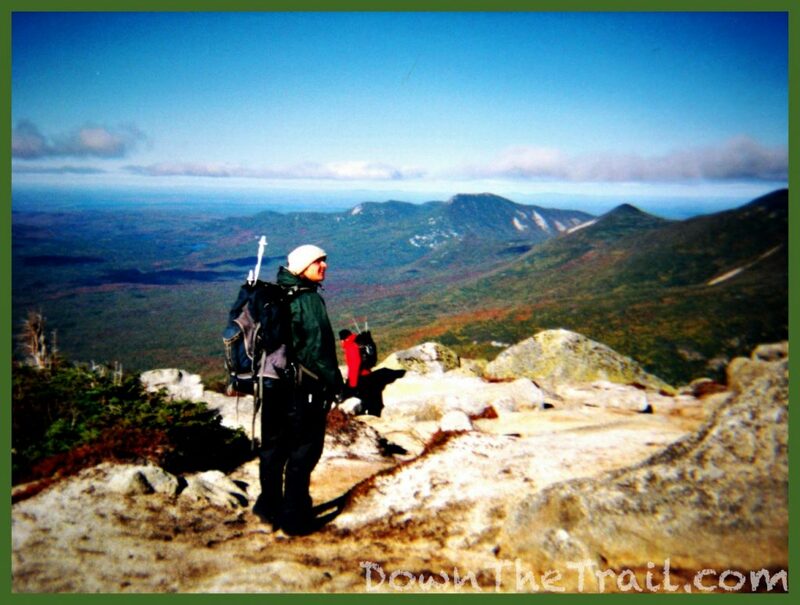 Katahdin is notoriously moody, and can be especially dangerous for the cocky thru-hiker who thinks he’s bulletproof – the one who thinks he’s seen it all by this point, and will not be turned away from the glorious finish by any weather. 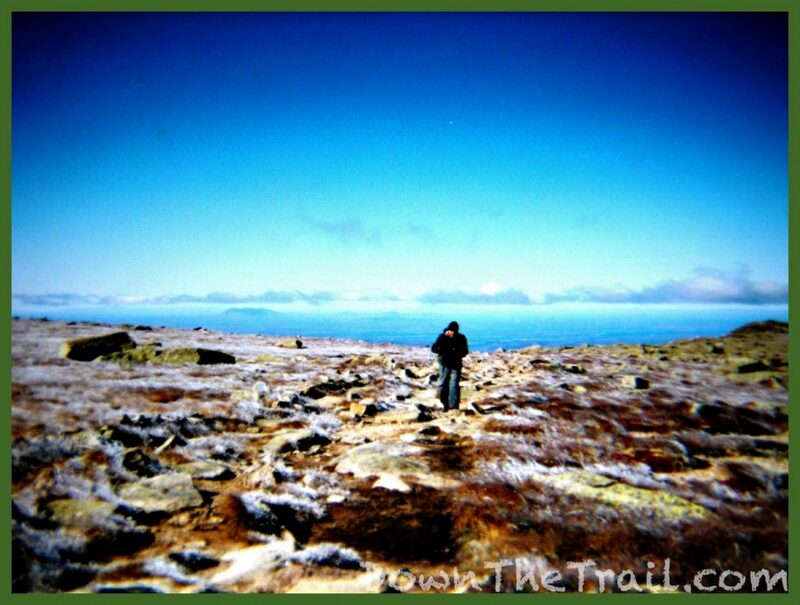 Many hikers have absolutely no view from the mountain as they walk in the midst of a sea of clouds. 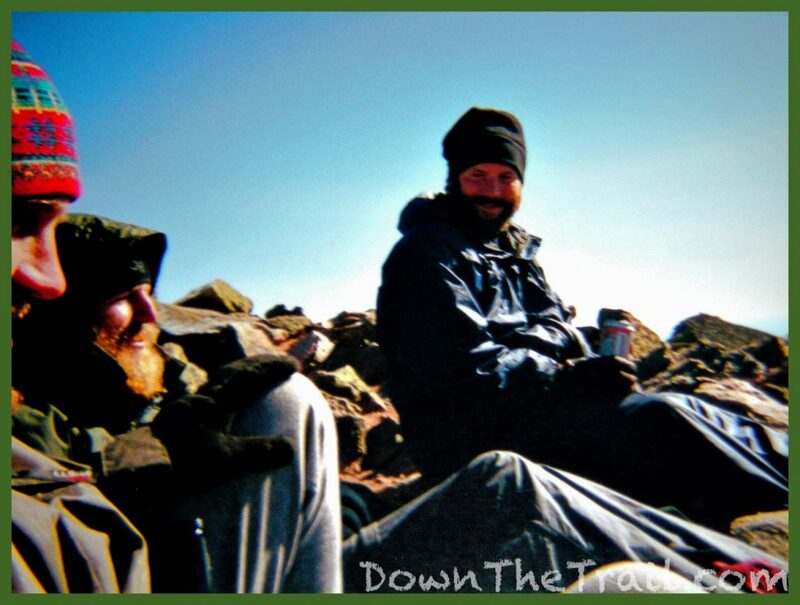 We started up the trail together as a group, in the dead of night under the light of our headlamps. Darkness faded into the pale light of dawn. We crossed a roaring mountain stream. The vegetation shrank in stature as we approached treeline. Sunrise soon followed. Some of the group pushed ahead, others dropped behind, but Hollywood and SoFar and I stuck together. We met a couple of guys on their way down the mountain. They’d gone up there in the middle of the night for sunrise. Some of their gear was caked with rime ice. I’d never seen anything like it. 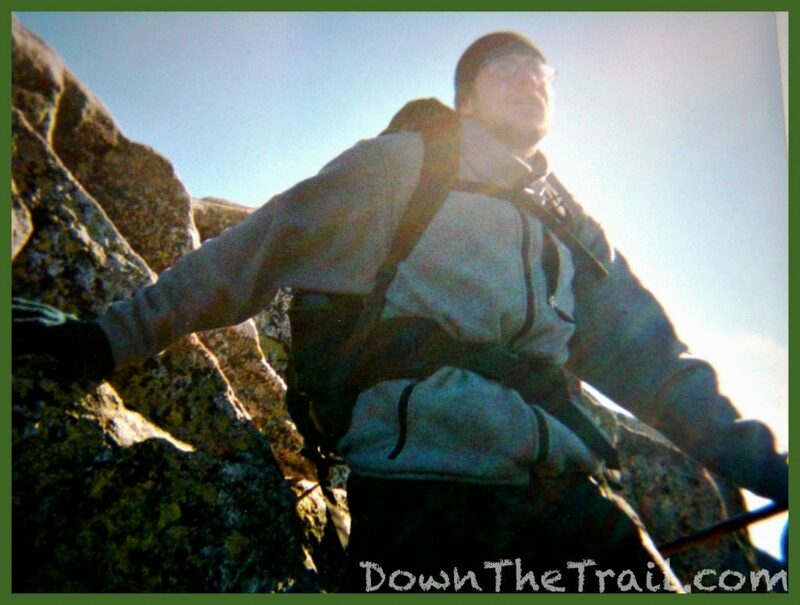 The steep, boulder-strewn ridge of the Hunt Spur rose before us. Iron bars had been drilled into the rock in some places to allow passage. 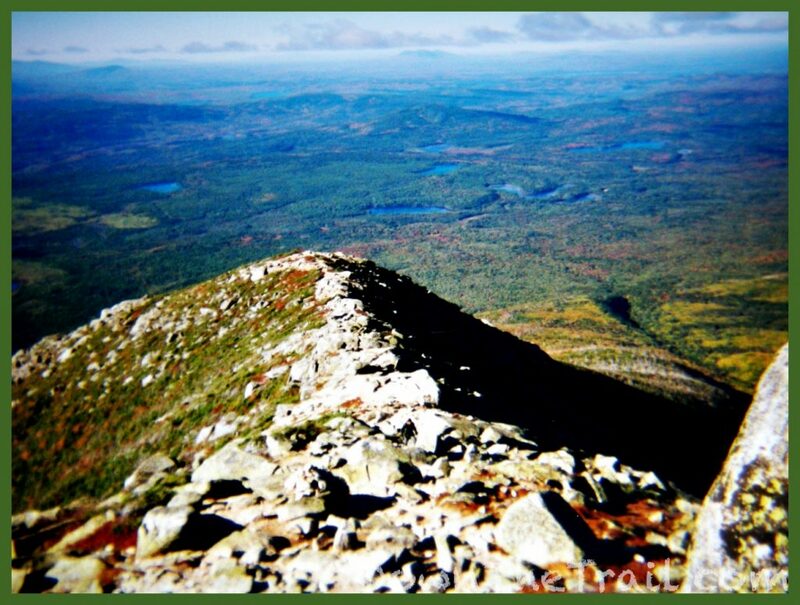 In the past I’d seen photos of this part of Katahdin, the bony ridge rising at a steep angle away from the eye of the photographer. The ridge as I’d seen it in other’s photos, and in my dreams. On the first week of my hike in Georgia I’d gotten horrible blisters. They were so bad that after hiking for only four days I was forced to take a full week off at a place called Goose Creek Cabins. On the day that I finally left Goose Creek and resumed my hike, I camped alone on a ridgeline. 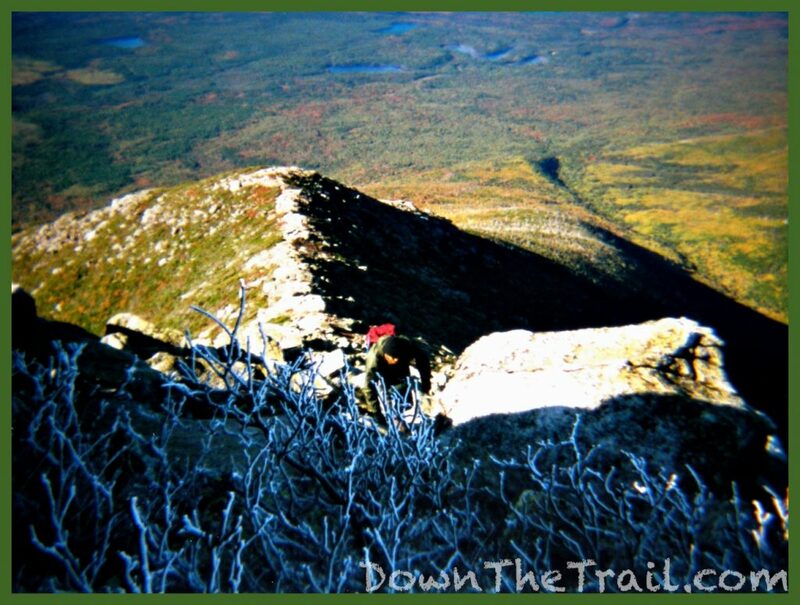 On that windy night I dreamed of Katahdin… in fact dreamed of this very stretch of the Hunt Spur Trail I’d seen in photos. The views were magnificent – all I’d dreamed of and more. There’s a popular quotation about the scene from up here. It describes how the flat landscape surrounding the mountain, riddled with lakes, looks as though somebody shattered a great mirror in sky. Its placid pieces are strewn all about the land, reflecting the sky back at itself. 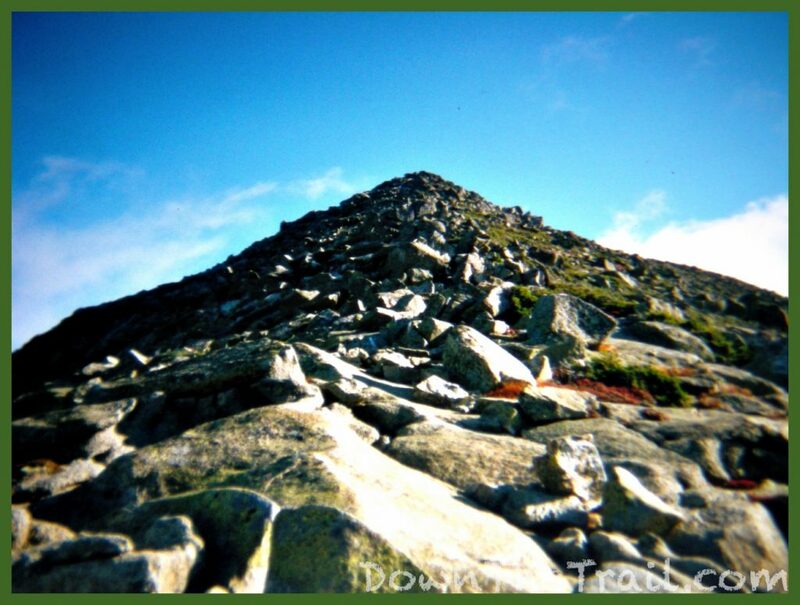 The top of the ridge’s ascent is what most would regard as a false summit. Beyond we discovered what’s called the “tableland,” a flat, ethereal mile of tundra that leads to the true summit, just a short jump away. 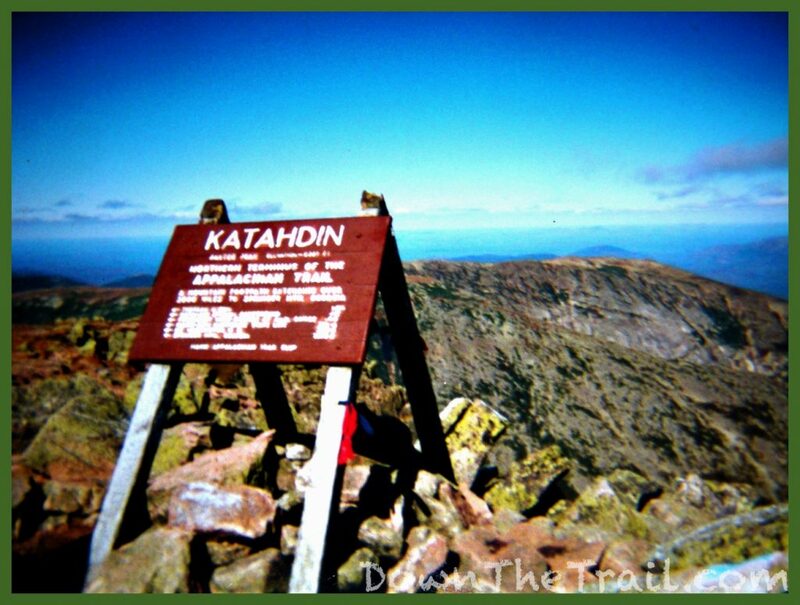 A majority of Katahdin’s magic is found in that mile. 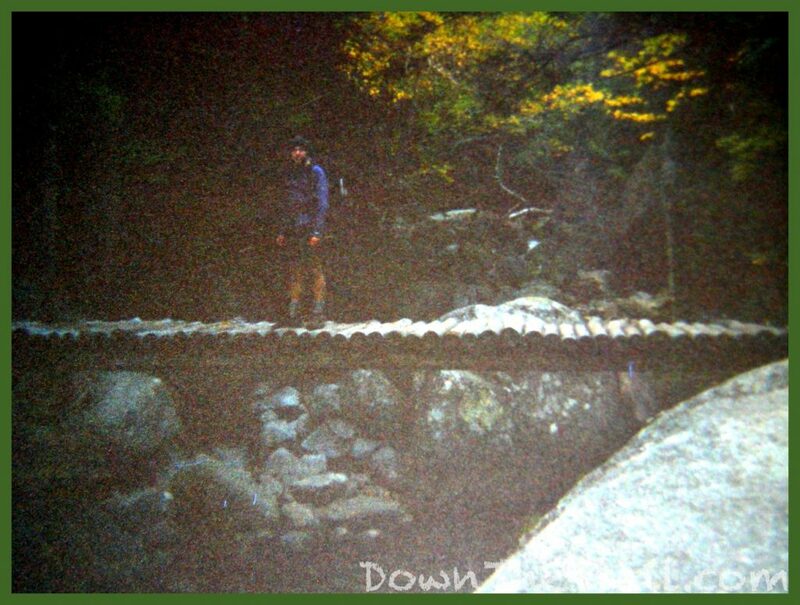 Most of the physical exertion is behind you, back down the mountain… back in the triple-digit temperatures to the south, back in the ankle-busting rocks of Pennsylvania, the constant starvation and doldrums of wallowing in your own body stench for weeks and months on end. Instead of focusing on the next footstep, your head lifts and is more apt to take in the moment. Less than an hour away, you can see the end with your own eyes – five million steps and likely five or six months in the outdoors to get here from Georgia, and only a few more steps to go. A haunting wind swept across this unfinished part of the globe. It swirled about my head and deadened all sound – all sound but my own thoughts. We hikers instinctively gave each other some space, staggering out along the trail so that each individual could be alone with those thoughts. 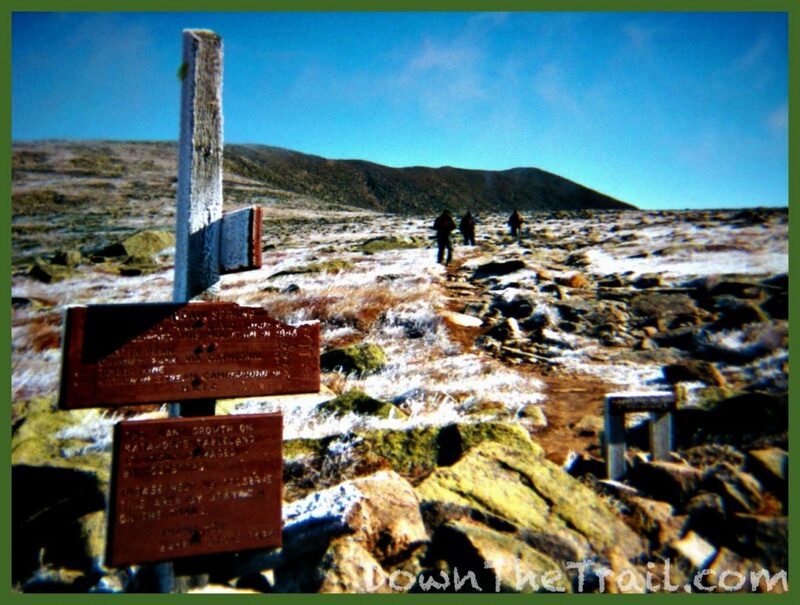 A sign for the steep Cathedral Trail and Thoreau Spring was the Tableland’s only feature, save for the bare rock and rime ice that coated the grass. A small group had gathered at the summit. Hollywood was a few steps ahead of me. I was hesitant to approach and touch the sign. 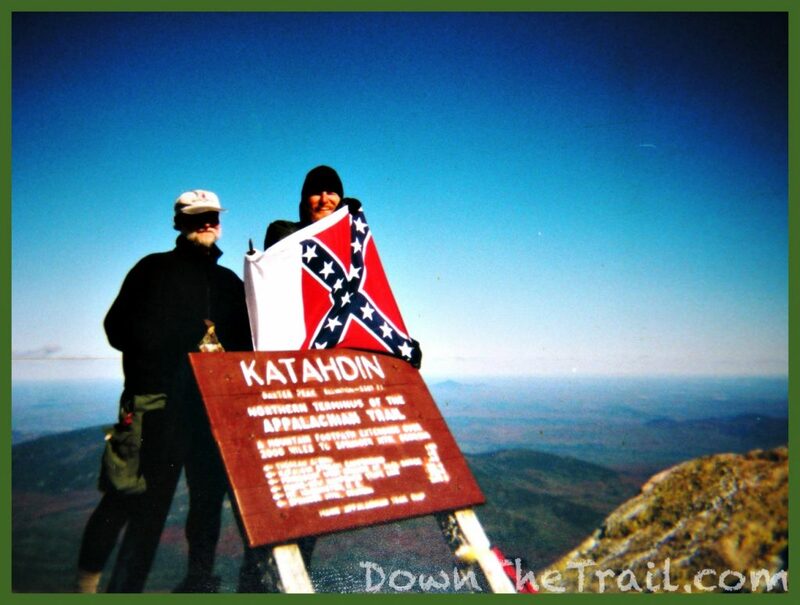 I suppose that the sensation of completing the Appalachian Trail, of seeing Katahdin’s famous signpost with my own eyes, was so overwhelming that I was momentarily numbed in disbelief. The next thing I knew, Hollywood was barreling for the sign. He dropped to his knees before it, rested his forehead against the weathered letters, pounded his hands on it. He broke down in tears, and spoke. Every word he said is not etched in to my memory, but the vision of him there, and the way it made me feel, is most certainly clear in my mind. Such a strong emotional outburst from him was a shock. My eyes welled up immediately. There at the top were SoFar, Sandfly, Kubiak, Stock, and Kelly. 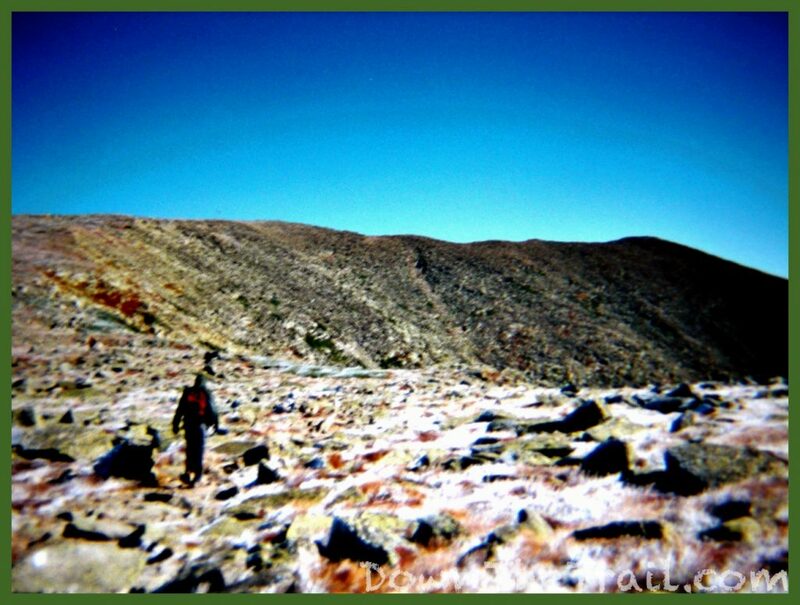 Hollywood was, after all, the only true thru-hiker among us. Next I stepped up and touched it, but the exact moment I did was anticlimactic after such a show. Maybe I’d possessed Hollywood in his moment, maybe all of us had. The celebration followed – beers, cigars, and photo shoots. “Sunset” is the trail name of the guy on the left. He’s from South Carolina and brought the stars and bars to fly up here. Hollywood, being from North Carolina, was apt to join in. I unpacked the stone that I’d carried from Springer Mountain. I’d picked it up about a year and a half prior, on April 3rd 2001. When I left the trail after September 11th that year, the stone left with me. When I got back on in 2002, the stone got back on, too. And here I placed it, on the large cairn at the top of the mountain where dreams come true. I like to imagine that it’s still there.